China has become the largest source of travel in the world, with traveller numbers up 20% to 109 million in 2014. 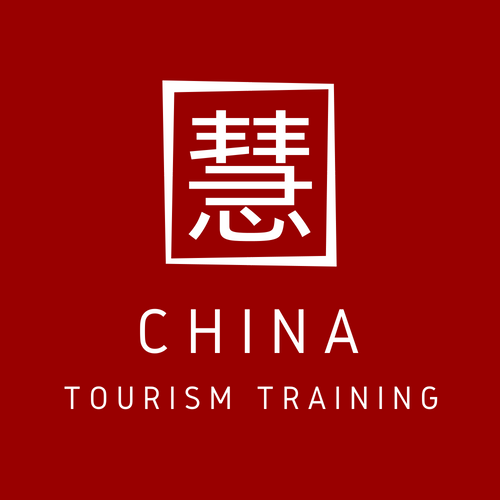 However, the prospects of the outbound Chinese tourism industry have been put into question as the overall economic performance of China in 2014 and the first half of 2015 was characterised by a slowing GDP growth and a global loss of confidence in the ability of China to stay in its role as the locomotive of the global economy. Shares in Chinese stock markets went up, only to start a dramatic downward shift in June 2015. In spite of these events, COTRI believes that China outbound tourism growth is robust and will continue growing at a fast pace. This is why the 22nd Session of the UNWTO Assembly, the most important global meeting of senior tourism officials and high-level representatives of the private tourism sector, has been granted to China in 2017. According to the UNWTO Secretary-General Taleb Rifai “China’s importance as a driver of tourism development cannot be understated. It is not only the world’s fourth most visited country, but the number one source market in the world, as well as a prominent leader in domestic tourism. These numbers, alongside the Chinese authorities continued recognition of tourism as a strategic pillar of the national economy and an effective development tool, make China a fitting host for the next UNWTO General Assembly“. 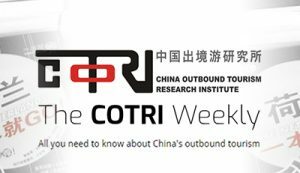 In this series COTRI presents 7 reasons why the development of the tourism industry will be China-driven. The total spending of mainland China’s international travellers will reach US$264 billion by 2019, from US$164 billion in 2013 according to the Bank of America Merrill Lynch. Older generations have had the habit of saving as much money as possible. 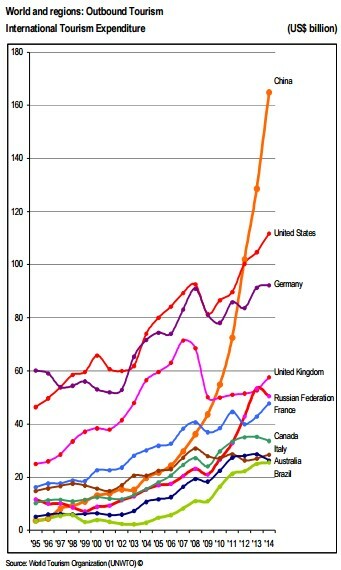 However, younger generations are reversing this and converting the Chinese economy into a consumption-driven one. The government expects domestic tourism expenditure to reach around US$890 billion by 2020 – more than double the figure in 2013. The growth of the middle-class in China may not follow the wildly optimistic predictions of the last years, but the number of affluent Chinese able and willing to spend money on international travel will increase – and those already travelling will not stop doing so. The low base of 7.6% of Chinese travel abroad creates a huge potential for growth due to the steady increase of disposable income by the middle class, which is as big as that of the USA. In addition, it seems more likely that some of the 2.02 billion domestic journeys reported for the first half of 2015 will be redirected to destinations beyond the country’s borders in the future. Visa requirements are perceived as a big travel deterrent. Not only the upfront fee that it involves, but also because of the hassle that comes with visa applications. Apart from economic development, the removal of travel restrictions are key for a smooth growth of the travel industry. The lure of the Chinese tourist dollar and considerable lobbying from the tourism and retail industry resulted in the easing of many visa restrictions. A recent scheme approved by the UK Home office in partnership with the Government of Belgiun is now allowing Chinese citizens to apply for a UK and Schengen visa in a single process, which was rolled out beginning on 1 July 2015. Business groups detected that fewer Chinese tourists visited Britain because of such visa barriers. A number of other countries have also adopted policies to facilitate entry in their countries: these normally involve mutual exemptions, long-term multiple-entry visas, opening of further visa centres, online applications or visa on arrival. On the other hand, countries that have decided to toughen visa requirements have seen their tourism industry plummeting. This is the case of South Africa, which suffered a 38% drop YoY in arrivals from China in Q1 2015, following the implementation of tougher visa requirements. China has until recently mostly been an exporter of goods, but as the country develops and big amounts of cash flow into the country, it has also become an exporter of capital. 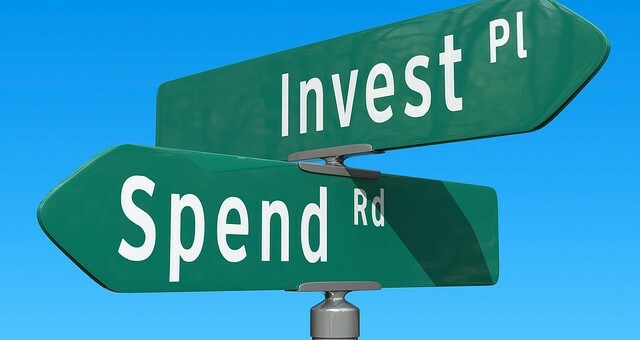 According to the COTRI Market Report, Foreign Direct Investment (FDI) in China averaged 38,86 Billion USD from 1997 until 2015 per year and reached an record high of 119,56 Billion USD in December 2014. Chinese entrepreneurs have set their sights on the fast growing tourism industry as well, not only investing in developing countries, but also substantial sums have also been invested in the tourism industry of developed economies. Real estate developer Wanda Group has invested 3.58 billion yuan (US$576.8 million) in the online travel service platform Ly.com with the goal of obtaining new revenue streams. This makes it the largest investment in an online travel company ever made in China. 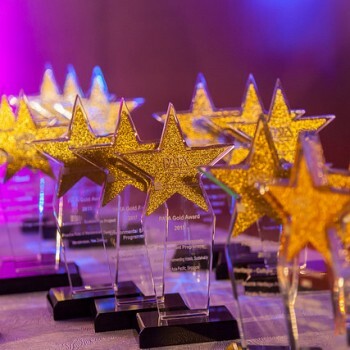 Online travel agency Ctrip has teamed up with Huiyu Asset Management and Singapore-based F&H Group to create Xieling Investment, a fund management platform that will serve as the fund management for overseas hotel acquisitions. Since 2013 the level of Chinese outbound investment into real estate, including tourism infrastructure, has been continuously rising. According to Anna.aero, China is already the leading Asian country market from European airports with around 6.7 million one-way seats this year. The next five biggest markets are all growing at a much slower rate. Air China is the largest carrier linking China and Europe and is the fastest-growing airlines in the market. Four Chinese carriers are ranked on the top 8 airlines with all four growing above average. 22 airlines are in the market, 4 more than last summer 2014. The best news is that number of direct scheduled flight connections from China’s second and third tier cities to Europe has been growing considerably in the past years. Kunming airport, with its direct flight to Paris CDG, makes the 14th Chinese city with a non-stop flight to the old continent. The travel motivation for large segments of the Chinese outbound tourists is to gain prestige and to be able to become part of the social group of Chinese who have been travelling abroad. John Wang, owner of John’s Information Service and Café in Dunhuang, says that “in the past when Chinese people saw foreign tourists, they thought they’re crazy to spend money in travel, like they’re masochistic”. 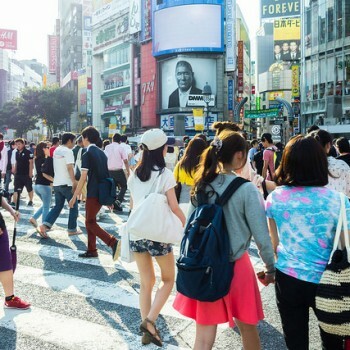 Professor Arlt, on a recent post on his Forbes blog, affirms that “international travel has already become a firm part of the consumption pattern of everybody who is anybody in China”. One of the most sought-after destinations is the USA. Joining the ‘privileged club’ of people who have visited the US brings a certain social status to Chinese people among their peer groups.